SE-DPB (25402 / 2159) Titan Airways Boeing 737-300CF. 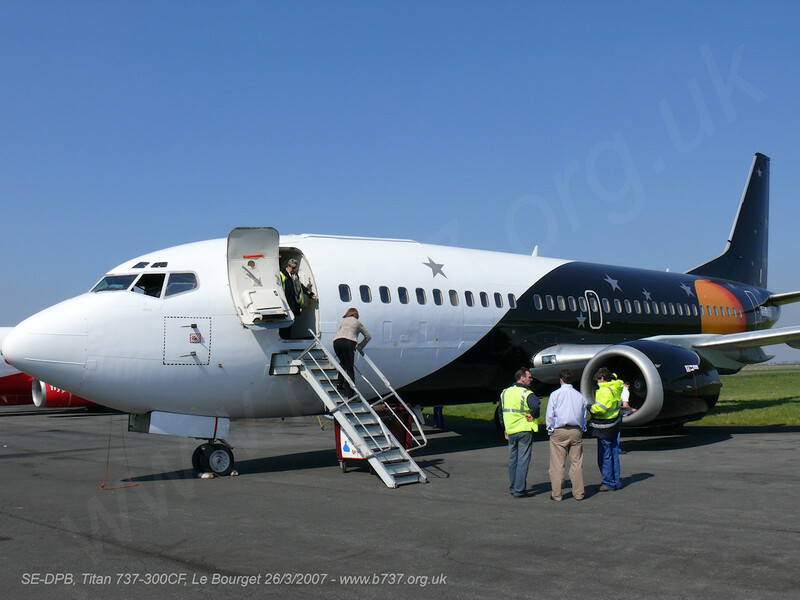 I took this photo on the apron at Le Bourget immediately before conducting its combined post maintenance flight check and customer demonstration flight when it was being sold from Falcon Air (hence the Swedish registration) to Titan Airways in March 2007. The aircraft subsequently became G-POWC on the British register. As is always the case on these flights there are a lot of stakeholders around from the aircraft owners, leasing company, previous and next operator/owner and the maintenance organisation that did the work on the aircraft before handover. 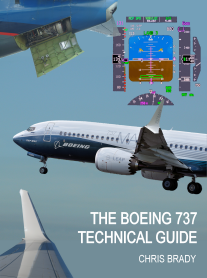 It seems that everybody is either trying to find faults with the aircraft or dismiss them as trivial wear and tear! This particular aircraft was converted to a CF freighter very soon after it was built. The extra weight of the side cargo door can making W&B tricky if empty. Titan seem to rotate the aircraft in their fleet as buying and selling opportunities arise. They have owned about ten 737-3/400s although rarely more than two at a time. In Jan 2018 they will receive a second 737-400. They are planning to convert this aircraft into a QC freighter in autumn 2018.